There is nothing more important to a child’s health and well-being than the relationship with his or her parents or caregivers. When that relationship is safe, stable, and nurturing, it provides a foundation for healthy development – intellectually, emotionally, socially, and even physically. 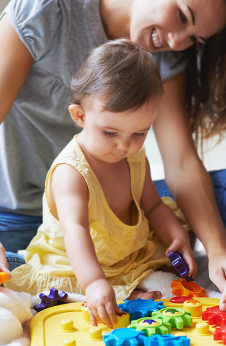 Such secure relationships are especially important during the first three years of life, a critical time of growth and formation for both the child and the parent. 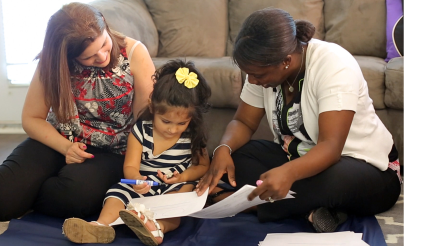 CCFH provides long-term, in-home support focused on building parenting skills and supporting households through access to community resources through Healthy Families Durham and the Durham Early Head Start Home-Based Program. CCFH also offers early support to any family in Durham County with a newborn through Family Connects Durham. Through nurse home visits and connections to community resources in the first few weeks of life, we help make sure every parent is ready to create a safe, healthy home.